New recommended fluoride dietary intakes by infants and young children in Australia and New Zealand were recently published. The updated values are available online at Nutrient Reference Values for Australia and New Zealand. This is a regular update – the Australian National Health and Medical research council advises these recommendations be reviewed every 5 years. But the new recommendations are interesting because the upper limit for fluoride intake for infants and young children is substantially higher than the previously recommended upper limit. 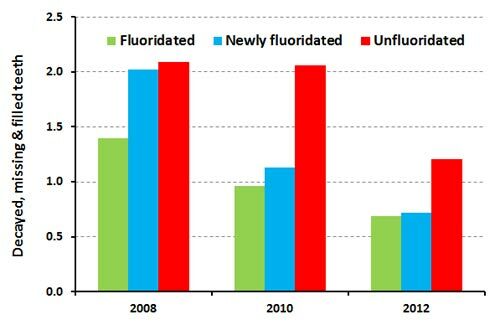 Public health policy in Australia and New Zealand aims to adjust fluoride intake at the population level to be high enough to prevent dental caries but low enough not to cause moderate or severe dental fluorosis or other adverse effects. But health professionals have noted an anomaly in recent years. Dietary intake of fluoride by children may exceed the previously recommended upper levels – even when community water fluoridation levels are within the recommended targets. Despite this the occurrence of moderate or severe dental fluorosis in Australia and New Zealand was rare. This led to health authorities acknowledging that, for example, bottle-fed infants may sometimes exceed the upper limits for dietary fluoride intake – but still recommending this was harmless. Anti-fluoride activists misrepresented this advice by claiming health authorities were recommending that fluoridated water not be used for preparing formula for bottle feeding. Their claims are incorrect and alarmist. The “warning” simply provided advice that there was no risk of harm but the if parents were concerned they should occasionally use non-fluoridated water to make up baby formula. In part, this current report is a response to that conundrum. Anti-fluoride propagandists will no doubt attack this change. They have made capital out of the situation in the past by claiming that infants and young children are getting dangerous levels of fluoride in their diet. They, of course, ignore or hide the fact that despite this, levels of moderate and severe dental fluorosis have not been a problem. They, also misrepresent the situation regarding dental fluorosis and its causes – see Dental fluorosis: badly misrepresented by FANNZ and Water fluoridation and dental fluorosis – debunking some myths. However, the expert working group who reviewed the literature and came up with the new recommendations did have their reasons. And these were more than just the absence of moderate and severe dental fluorosis. They also concluded the previous recommendation was not consistent. This is because it was based on the US Environmental Protection Agency’s use of mean dietary intake and not the higher percentile fluoride intake which should have been used for the upper limit. Consequently, their recommendation for the upper limit of fluoride intake for children up to 8 years of age is 0.20 mg F/kg bw/day (kg bw = kg body weight). The previous limit was 0.1 F/kg/ bw/day. This produces the following upper limits for children of different ages. 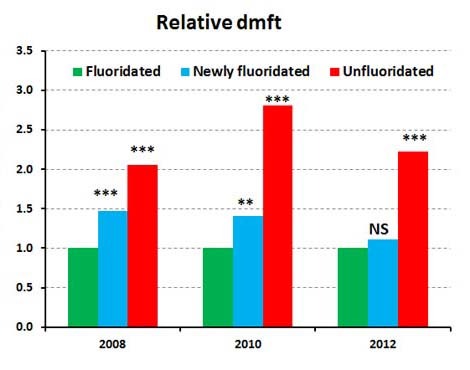 In Australia and New Zealand, the estimated upper range of total daily fluoride intake for different age groups ranges from 0.09to 0.16 mg F/kg bw/day – considerably lower than the new recommended upper limit of 0.2 mg F/kg bw/day. Will anti-fluoride campaigners top claiming that bottle-fed infants consume dangerous levels of fluoride if their formula is made with fluoridated water? And the rest of us should not longer make the concession that intake levels are above the recommended upper limits – because they aren’t. Such conventions were held in Melbourne in 20110 and 2012 and were very successful. However, a lot has happened between prominent atheists since then. People have fallen out and personal campaigns have been promoted for and against personalities. I hope these conflicts do not jeopardise this planned convention. I guess it will depend on the invited speakers. Salman Rushdie and Ayann Hirsi Ali will be interesting and attract lots of people. I look forward to announcements of other speakers in the planned line up. So, I have my questions at the moment – but will certainly consider attending if the other speakers are as interesting. The Atheist Foundation of Australia is pleased to announce the third Global Atheist Convention in Melbourne in February 2018. Bringing together like-minded thinkers, and those who want to challenge their current thinking, the three-day exhilarating event will feature world-renowned speakers and entertainers. Sign up today for speaker and ticketing announcements. Looks like Australians have won another small victory in the way that their religiosity is officially assessed. In particular how census forms pose the religion question on census forms is posed. 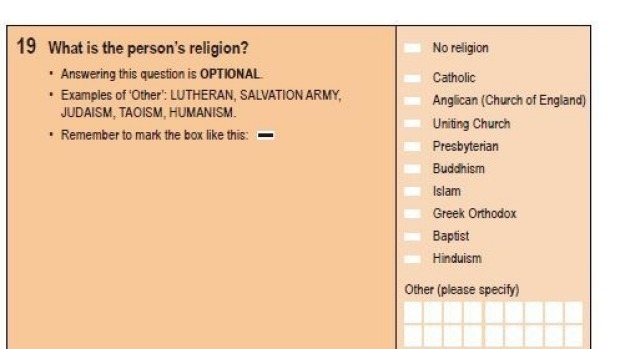 “Do Australians opt for a religion in their census answers because they don’t , at first glance, notice the “no religion” option? Greater minds than mine also asked this question. Rationalist and sceptic groups lobbied the Australian Bureau of Statistics to change the question during the post-2011 census review. They argued it was about accuracy. 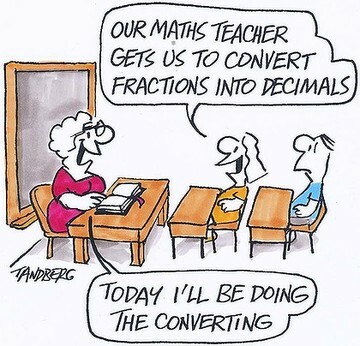 And they succeeded (see Census change: Is Australia losing its religion?). “If Christianity did lose its position as the majority religion, this could impact government spending programs such as the school chaplaincy program, according to those advocating for the change. So it is more than a psychological victory. Surely it is important that allocation of resources to people of different beliefs should not be wroughted by the trickiness of questions like that in the old census form. 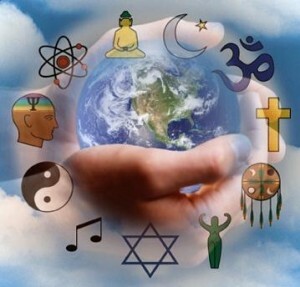 Religious instruction scrapped from curriculum – what a great headline to see in the newspaper. Unfortunately, it is just for the Australian state of Victoria. But it could well happen here, considering the opposition to religious instruction in state schools we are seeing in New Zealand. Victorian schools are scrapping special religious instruction from class time to make way for new content on world histories, cultures, faiths and ethics. The changes to the state’s curriculum raise doubts about the future of the controversial religious instruction program. The state government said “Extracurricular programs should not interfere with class time when teachers and students should be focused on the core curriculum.” And curriculum changes mean that classes addressing domestic violence and respectful relationships will also become compulsory for all prep to year 10 students from 2016. I certainly consider these subjects that are a far more important and necessary use of school time. The changes mean that he weekly 30 minute religious instruction program will move to lunchtime and before and after school in 2016. Mind you, that opens up the possibility that other religious sects (and, heaven forbid, non-religious ones) may demand equal time for their own presence on school property for lunchtime and before and after school indoctrination opportunities. She said religious instruction providers were proselytising in primary schools while students missed out on learning. This has been a common complaint from parents because the chaplaincy organisation involved is well-known for its evangelical orientation and attempts to convert children. But, predictably, this move is opposed by some religious organisations – including the chaplaincy organisation Access Ministries, the main provider of religious instruction. In New Zealand, the Secular education network (NZ) is working towards the same ends as the Australian Fairness in Religions in Schools. I hope we can see similar successes here in the near future. Tony Abbott says his party is serious about the advancement of women, and has set an ambitious target to have half of all seats shown on TV filled by women within five years. 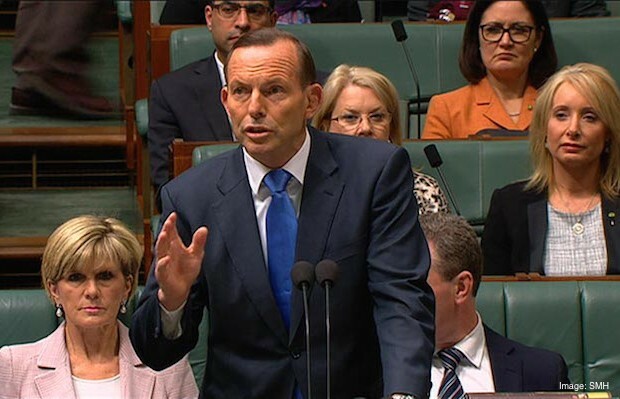 “We are deeply committed to giving the impression that a high proportion of Liberal MPs are women,” Mr Abbott said. “These are plum seats – not just any old seats. They’re right behind where the men and Julie Bishop stand when they’re giving a speech, so it’s not just a token gesture”. He said women had an important role to play in the party. “The party’s women are crucial for the Federal Budget, for example. They’re on screen for the entire length of the budget speech, which is beamed to millions of Australians. They feature on the front page of the nation’s newspapers”. 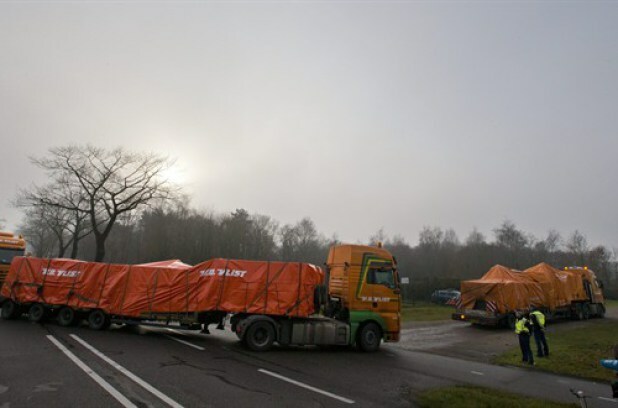 A Liberal Party spokesperson said there was still work to be done to meet the target. “At the moment women make up 20% of Liberal MPs, and around 45% of those on camera, so we’re not quite there yet”. So often on issues like these bureaucrats are interested only in appearances – not correcting the problem. This reminds me very much of the approach taken by Human Resources bureaucrats in dealing with the issue of laboratory safety in my earlier life when I was employed. They talked a lot about “signage.” To them the way to resolve (or appear to resolve) a safety issue was to put up a lot of signs! Tim Minchin describes the joys of Christmas down under. I reckon you can’t beat Tim Minchin’s song “White Wine in the Sun” to convey the real atmosphere of Christmas – at least in Australia and New Zealand. Here’s a new version – recorded at the Uncaged Monkeys show in Manchester on 6th December 2011. It’s a bit shaky at the start but gets better. Sometimes the local climate change deniers/sceptics/contrarians behave as if they aren’t on the same planet as the rest of us. Well, perhaps that’s a bit extreme – but they do sometimes seem to at least be in a different hemisphere. While we are currently sweltering in New Zealand, and Australia is burning, they are scanning Northern Hemisphere newspapers trying to find headlines about local snow, record low temperatures, etc! For a while there they did start to discuss the Tasmanian fires – but what do you know? Temperatures were ignored – instead they were blaming the fires on the Australian Green Party (see Greens win, so Tasmania burns)! (Rather supports the idea that climate change denial is motivated by right wing politics). Of course it’s easy to pontificate on local weather and temperature records (high and low) and cherry pick data to suite one’s prejudices. But as the New York Times recently pointed out the effect of climate change has been to increase the frequency of extreme weather and temperature, rather than cause specific examples (see Heat, Flood or Icy Cold, Extreme Weather Rages Worldwide). 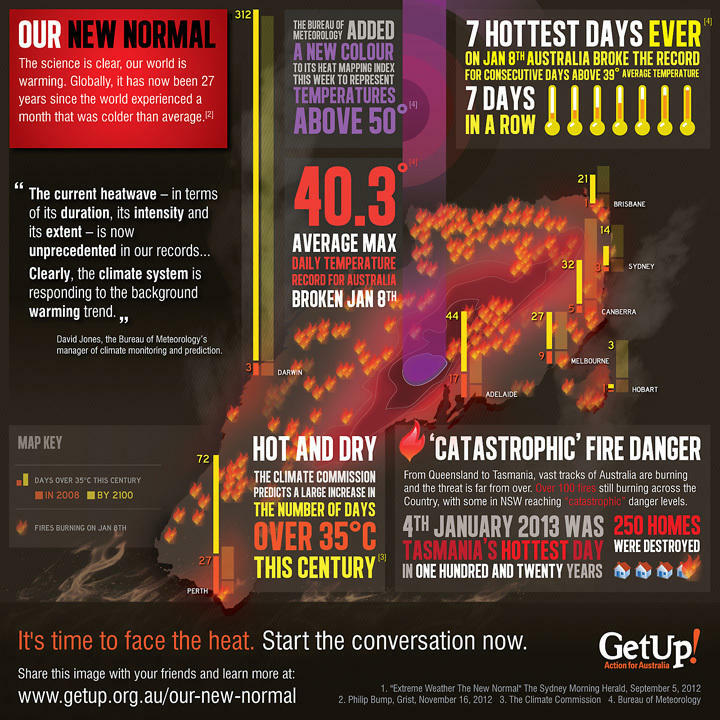 Anyway, just to underline the local extremes here’s a climate change infographic produced by the GetUp Action for Australia Campaign. (see GetUp! – Our New Normal).